Joseph Kellner Haircolorist Receives 2012 Best of Orlando Award! On 01/05/2013 By Joseph KellnerIn Customer Service? 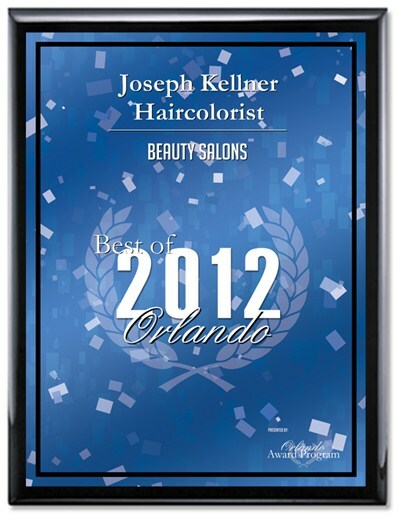 ORLANDO December 5, 2012 — Joseph Kellner Haircolorist has been selected for the 2012 Best of Orlando Award in the Beauty Salons category by the Orlando Award Program. Lets step it up Guys!!! !